Meglio's Italian Bar and Grill in Bridgeton, MO, which was featured on season one of Restaurant Impossible has closed. A few locals emailed me about the closing of the restaurant, and there are also a few online reviews that confirm the restaurant is closed. The restaurant website has also been taken down. The closure seemed to have happened in January of 2015, and a review in late January stated, "Sad news, my favorite neighborhood Italian restaurant is out of business. My wife and I have dinned there dozens of times, brought guests and had parties there....We stopped by for dinner tonight. There is a for lease sign in the window and the restaurant is empty and dark." 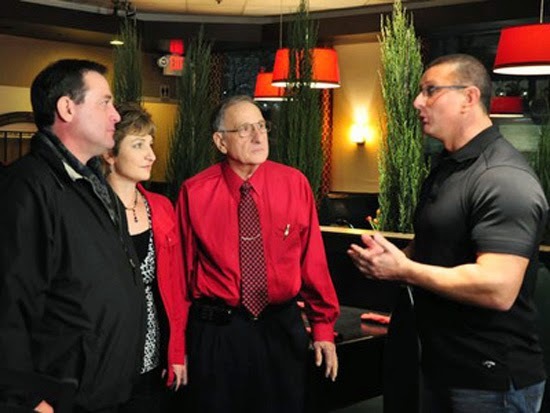 This is the fifth restaurant from the first season (2011) of Restaurant Impossible to close, and the Restaurant Impossible Update page has been updated with this information. There is just one restaurant remaining from season 1 that is still operating with the same owners.